If you are reading that article, your ecommerce website is probably not as efficient and high-performing as you would like it to be. Let me guide you through 3 ways in which you could increase your revenue and develop your online store. Redesign has few really important advantages. Back-end changes enable major redefinitions of functionalities – so if you’ve always wanted to introduce new possibilities to your website – this is the right time to do it. Moreover, it’ a great PR opportunity: your shiny new website is something to talk about. As experience often shows, in case of redesign, you stand a big chance that new website means significantly increased conversion rate. But, of course, it has flaws too. Firstly, redesign is expensive. Secondly, where there is a big project, there could be big delays. Especially when you have to deal with IT issues. What is more – ecommerce website redesign is mostly based on gut feeling, which creates a risk. And the impact is very often hard to measure. Also, more often than not, redesign at first brings conversion rate decrease, as the customers are not used to new website design and need time to learn it. 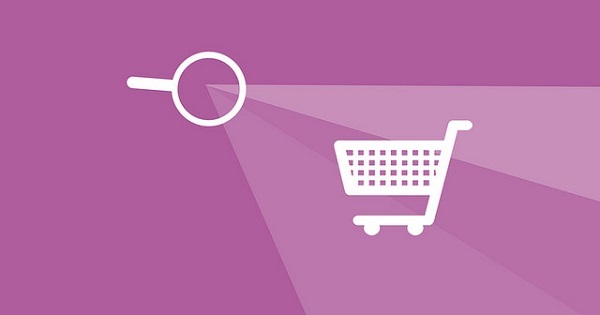 Your other option in ecommerce development is conversion rate optimization. Why should you consider it? It’s safe – the changes are implemented slowly, chosen on the basis of A/B testing and are fueled with data. And, most probably, you will be able to do it without IT department. If you decide on conversion rate optimization there is a chance that you will encounter following obstacles: small changes imply that they will have a minimal impact on your revenue. But at the same time, they require a huge amount of specialized knowledge and experience. Moreover, the methodology is complicated and not so easy to follow. It could be hard for you to find the appropriate conversion rate specialists for that purpose. There is also a third option for increasing revenue from your online store. It’s ecommerce optimization. Let me explain this for you. Have you ever seen Amazon doing a major redesign? Most probably not. Because this is what the biggest ecommerce players do – they develop their websites constantly. You can’t see big changes, only the small, carefully chosen and tested ones are implemented. And they are implemented all-the-time. It’s the constant ecommerce development. It surely is the best method. But, unfortunately, it’s expensive for your ecommerce company. You need at least 5 highly skilled employees to carry it out. And one super-agile IT team. It’s no easy-peasy to find and hire them. Or, you can outsource a team of specialists in ecommerce optimization to do it for you. Overall, I do believe that there is no one best way to fit all ecommerce websites. However, you should always choose between the one with the lowest risk and highest possible revenue outcome.